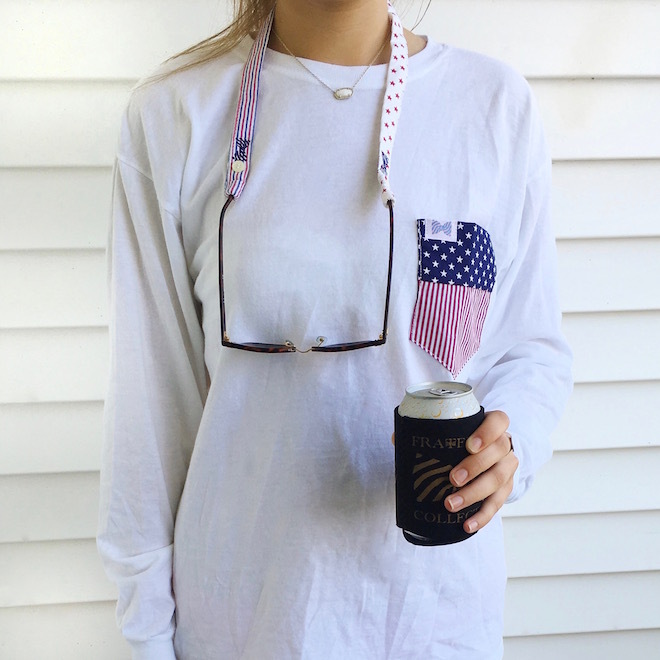 citrus and style: Fraternity Collection Giveaway! It's giveaway time! Fraternity Collection was one of my favorite companies to support when I first got into blogging because they were a new brand and the tees were so perfect to wear when getting work done. They've expanded to include so many more pieces and I truly believe that any high school or college girl needs at least one of these shirts for lounging or sleeping! Fran and I are both host giveaways with them, so naturally we decided to do a joint photo shoot in our similar tees. We wore them for a night of blogging and both couldn't get over how soft and cozy they are with a pair of workout shorts. I know I'll be wearing mine a ton in college! 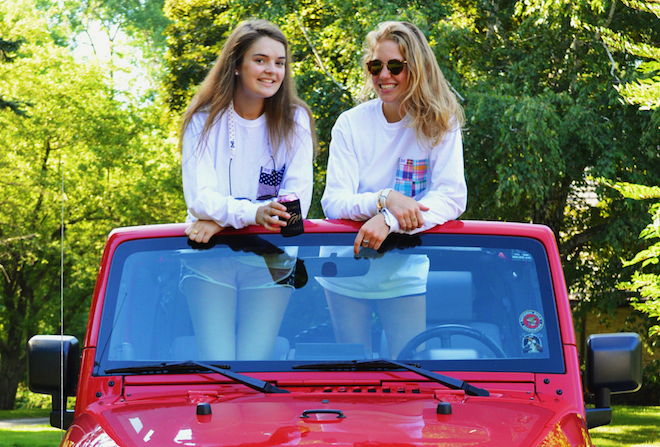 I'm wearing the 1776 long sleeve tee with the Justice Red White and Blue croakies and Fran's wearing the Vickie long sleeve tee. The giveaway ends a week from today at midnight. I would wear my tee to class because they are so cute and comfy! I would wear my t-shirt to class or for running errands around town! I would wear my t-shirt everywhere! I would wear my shirt to class, when I hang out with friends, and when I run errands! 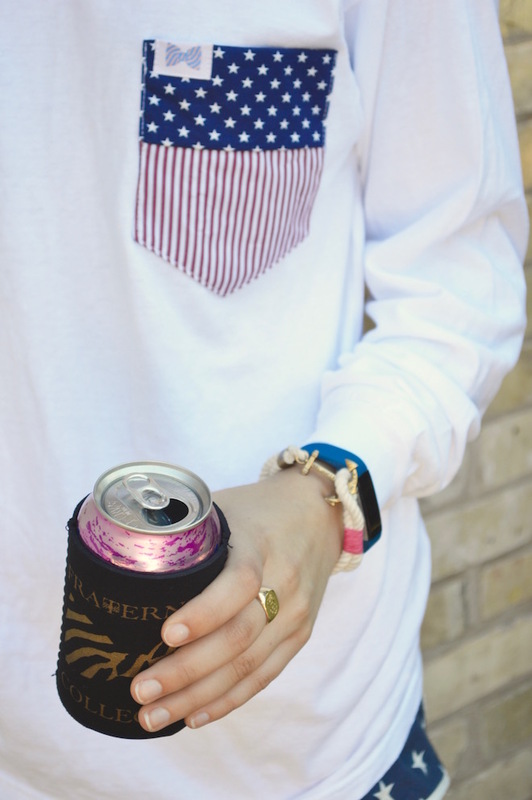 Such a perfect shirt for long days studying and lounging around!! I would wear mine to the grocery store! I would wear this to school, hanging out with friends and probably blog pictures of my own! I think the question is where would I not wear it! I would probably live in this chic shirt! I would wear it around campus! I would definitely wear my tee on campus for those 8 ams and for those post gym workout days! These tees are perfect for class and everyday wear! Love them!